Land Rover Discovery Tuning and Styling Makeover – is it time for your Land Rover Discovery makeover from VIP Design London, delivering the glamourous 4×4 equivalent of a stunning supermodel? Supermodel is defined as the sexiest thing ever – with outstanding performance. This baby is here and, here right now – this non-science-fiction work by automotive design specialists at VIP Design. It is breath-taking and no self-respecting Disco driver ought to be without these added extras. 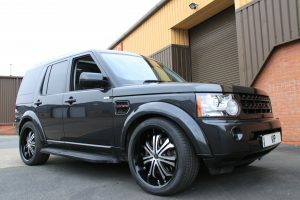 Previous projects delivered by VIP Design include the 650bhp Jaguar F-Type Predator, and this latest addition to the portfolio is the glamorous Land Rover Discovery Tuning Makeover. This tuning and styling is equally as attractive for this car’s capability. 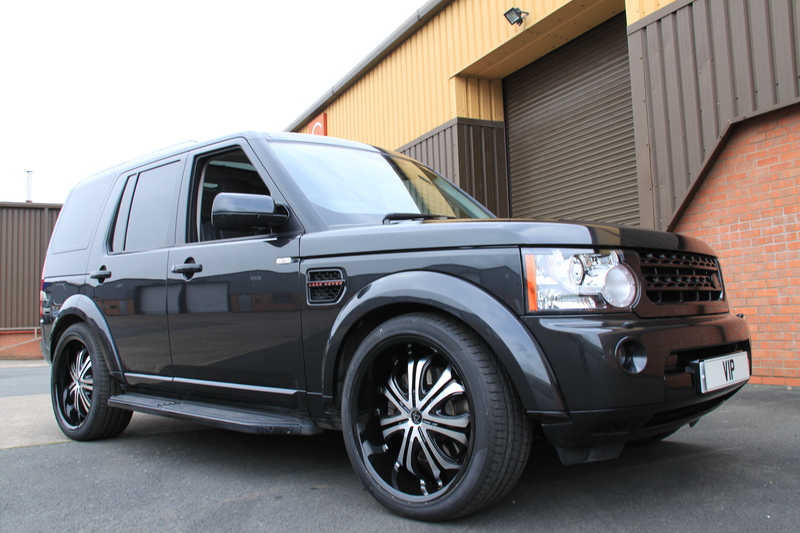 This Discovery conversion is just…well, let’s start with its Jimmy Choo shoe equivalent of 22” alloy wheels in gloss black, a diamond machine-cut finish with brilliant chrome highlights, combined with the signature black and silver VIP crown in the centre hub. No Swarovski crystal needed here to climax the bling-factor. The suspension has been lowered by a subtle 40mm which is akin to the extra oomph one gets from a very good fitting plunge bra. It simply just improves the figure from all angles and brings the whole outfit together. Who said woman don’t understand the concept of souped-up cars?! Let’s not forget those accessories either! Colour-coded bumper and trims (matching hat, shoes and bag). Blacked out front grill and vents and de-badged – we don’t want the in-your-face designer label flapping about. Performance air filters too – well, to improve air flow and fuel burn. This is one Discovery tuning and styling makeover you cannot afford your Disco to miss out on. 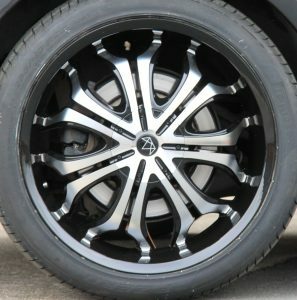 If you don’t like the alloys – VIP Design has a fabulous range in many different colours to choose from. Full of glamour and style, other bespoke finishes are available too – exterior styling and souped-up performance is what VIP Design stands for. Other styling extras include stylish carbon-fibre trims, all according to your taste and personal style of course. Privacy glass, window tinting from deep vantablack/full black-out privacy to subtle UV protection. Enquire about a makeover at VIP Design London, the team will work with you to make your special souped-up edition. Contact the VIP Design team now on +44 (0) 1789 774444 or email enquiries@vip-design.london to find out more.